Ontario-based DRIcore Products launches revolutionary all-in-one-basement wall system that dramatically decreases basement finishing time. Professional contractors and homeowners can install SMARTWALL® in a few simple steps, completing basement renovations as much as five-times faster than conventional methods. SMARTWALL® is engineered to include framing, insulation, drywall and vapour barrier in a 2 foot x 8 foot wall panel, weighing just 30 pounds. SMARTWALL® panels feature integrated wire channels, patented micro bevel edge detail (eliminates need for traditional taping and mudding), and tongue and groove system that allows panels to easily lock together. 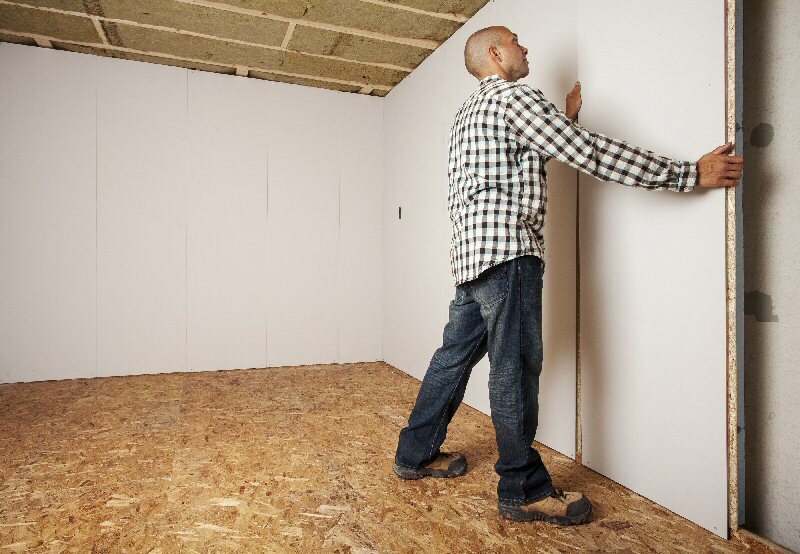 Once completed, insulated basement walls can help homeowners reduce their heating costs and realize greater energy efficiencies. SMARTWALL® helps professional contractors to become more productive and profitable, reducing the number of trades required for basement renovation projects, and allowing contractors to finish specific jobs more quickly. "Lack of time and inconvenience are two reasons Canadian homeowners are reluctant to tackle a basement renovation, even though they need the extra space," says Jason Haupt, President of DRIcore Products. "Building off the success of our Subfloor product, we realized there was a tremendous opportunity to further simplify basement renovations with all-in-one wall panels." "I've worked on hundreds of basement renovation projects and DRIcore SMARTWALL® truly will be a game-changer for basement finishing. For professional contractors, DRIcore SMARTWALL® makes good business sense by reducing the time it takes to complete a job and increasing productivity and profitability. For homeowners and DIYers, the installation process is easy to follow and fast. A typical 20' x 20' room installs in just a couple days," says Bryan Baeumler, President of Baeumler Quality Construction and popular HGTV star of Leave It to Bryan, House of Bryan, Canada's Handyman Challenge and Disaster DIY, and a spokesperson for DRIcore Products. Headquartered in Mississauga, Ontario, DRIcore Products is a Canadian manufacturer specializing in basement finishing solutions. In 2001, the company launched its very successful DRIcore Subfloor product, a floating subfloor manufactured with a high density polyethylene moisture barrier, that allows concrete floors to breathe and is a solution to basement moisture problems. After significant research and development, DRIcore Products introduced DRIcore SMARTWALL® to Canadian markets in the Fall of 2013. The company is privately held and DRIcore Products are sold throughout Canada and in select U.S. markets. 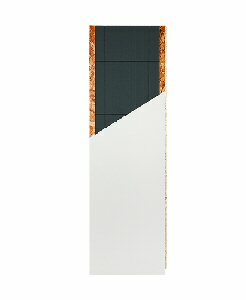 DRIcore SMARTWALL(R) combines framing, insulation, drywall and a vapour barrier into a R16 high performance wall panel. Basement renovations can be completed 5x faster than conventional methods. DRIcore SMARTWALL(R) is easily installed, making it a time-saving solution for both professionals and DIYers.